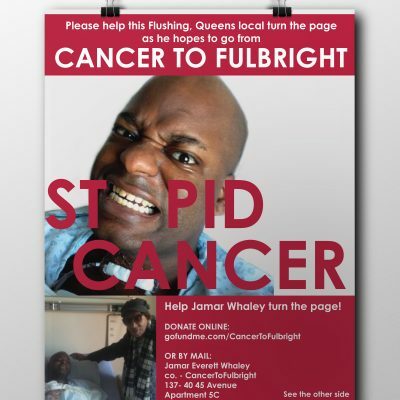 This fundraising poster was made for my good friend Jamar Whaley. 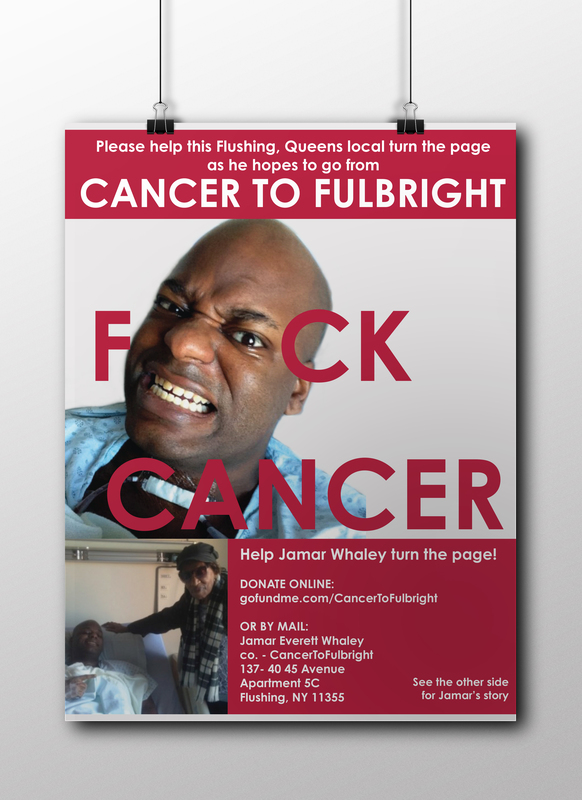 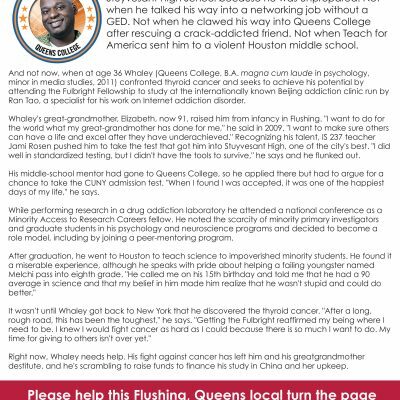 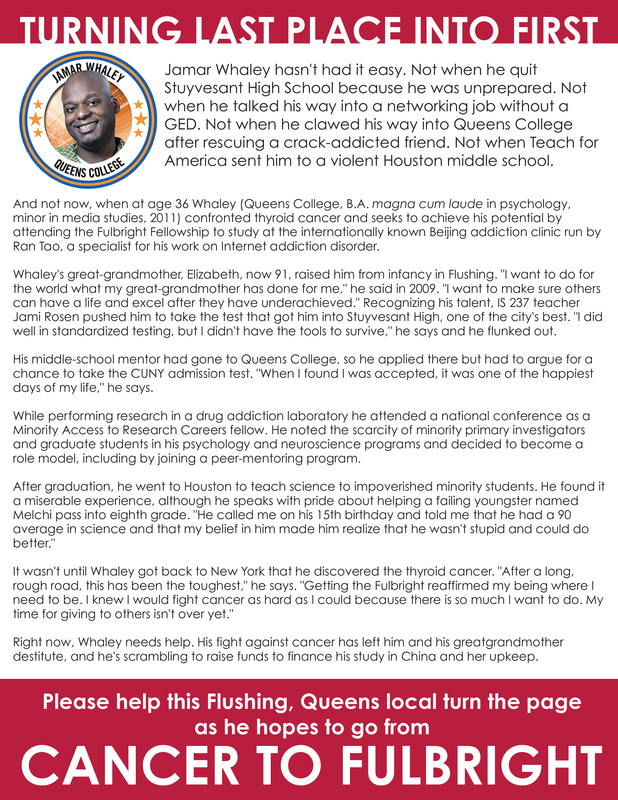 Jamar was diagnosed with cancer at the same time he received the prestigious Fulbright scholarship to conduct research in China. 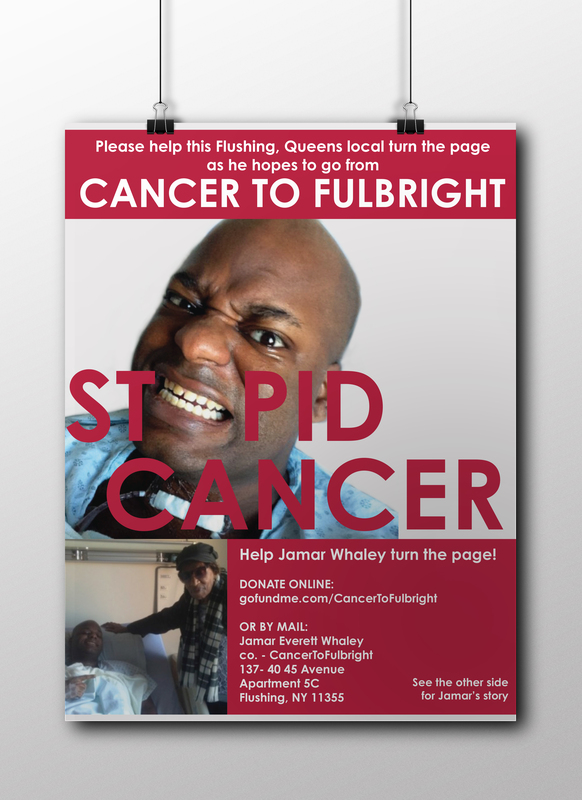 Using bold text and a high-resolution image, we turned last place into first place through sharing Jamar’s story with the world.